The GCC region is opening up to major solar projects, taking advantage of its sunny climate and large tracts of available land, said S&P Global Ratings, a leader in financial research and analysis. Most of the GCC countries--Bahrain, Kuwait, Oman, Qatar, Saudi Arabia, and the United Arab Emirates--are well placed to benefit from solar power, given their extremely favourable climate and the ample amount of land at their disposal, especially in the sparsely settled desert, S&P Global Ratings explained in its new report titled “Heating Up: The GCC Is Jumping Into Renewable Energy In A Big Way”. 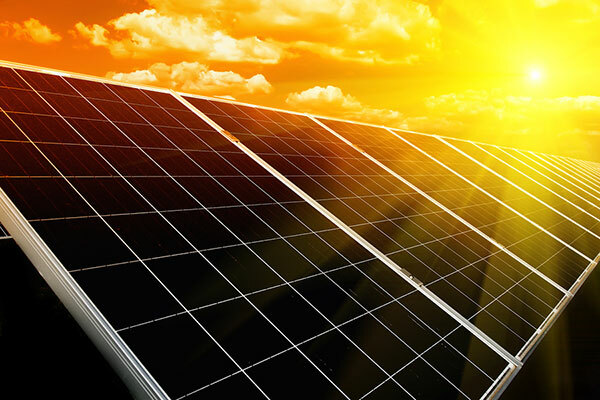 The GCC is increasing solar generation capacity at a time when the global renewable energy industry is growing strongly, supported by key developments such as the push by world governments and policymakers to combat climate change, a steady decline in renewable generation costs over the past decade, and continued technological advancements. S&P Global Ratings expects most GCC countries to continue invest in solar efforts in the years to come. The UAE has launched some major solar projects over the past few years, while Saudi Arabia announced the largest-ever project last month. • Saudi Arabia's SoftBank solar project--billed as the world's largest--is to have a capacity of 200,000MWonce complete by 2030, Dubai continues to develop its 5,000 MW solar park, Abu Dhabi is developing its 1,177MWSweihan plant, and Kuwait is expected to tender a 1,000MWproject in 2018. • S&P Global Ratings expects solar investment in the GCC to continue to increase quickly over the next decade. • While all projects announced to date are bank-funded, we expect that some might be refinanced via the capital markets once they are operational. Renewable power installation costs have been declining sharply over the past decade and technological improvements have increased efficiencies. Together, these developments are driving down renewable generation costs, creating a viable alternative to traditional carbon-based electricity generation. In 2016 alone 75 gigawatts (GW) of capacity was completed, and last year renewables represented two-thirds of new generation added to the global grid, according to the International Energy Agency's (IEA) report Renewables 2017. Furthermore, the IEA says, in the next five years, renewable generation will grow at twice the rate of gas and coal combined. The cost of solar photovoltaic (PV) modules has decreased at an average annual rate of about 10 per cent since 1980, according to the Oxford University paper, "How predictable is technological progress?" Meanwhile, the International Renewable Energy Agency (Irena) states that in 2017 the modules were more than 80 per cent cheaper relative to their 2009 levels. What's more, the cost of electricity generation by solar PV declined by about three-quarters between 2010 and 2017, according to the group's paper "Renewable Power Generation Costs in 2017". The steady decline in costs continues to support industrial growth. According to data from the "Renewables 2017 Global Status Report," total solar PV capacity grew at compounded average rate of 48 per cent between 2006 and 2016, reaching about 303 GW by the end of 2016. The GCC's efforts to become a large producer of solar energy come at a time when its energy consumption has increased substantially in the past two decades in line with fast-paced population growth, investments in energy-intensive industries, as well as growing water desalination efforts. While rich in hydrocarbon reserves, GCC countries also enjoy two key prerequisites for renewables, specifically solar. First, GCC countries enjoy very high solar radiation levels and a large number of sunlight hours throughout the year--two factors crucial for efficient and economically viable solar electricity generation. Close to 60 per cent of the GCC's land surface area has excellent suitability for solar PV deployment, according to the Irena paper "Renewable Energy Market Analysis, The GCC Region." Even developing only 1 per cent of this area could create almost 470 GW of additional power generation capacity, the agency said. That compares with the region's current power generation capacity of 151 GW, according to a report by Arab Petroleum Investments Corp. (APICORP) in April 2018. Secondly, the land use requirement for solar power farms is significant as the solar panels deployed to catch sunlight take up very large surface areas. For example, the Sweihan solar PV plant, currently under construction in Abu Dhabi, is reported to spread over an area of 7.8 sq km. For many countries, using land for solar installation typically represents a big opportunity cost in terms of economically valuable land that otherwise could be used for farming, industry, and cities. However, given the size of available, barren land in most GCC countries, particularly in Saudi Arabia and the UAE, the opportunity costs are low. If GCC nations meet their solar energy targets, they could save huge amounts of oil and gas. Irena estimated in a 2016 study that achieving those reported targets could result in cumulative savings of 2.5 billion barrels of oil equivalent between 2015 and 2030. These resources could be used instead for local consumption or domestic petrochemical industries.